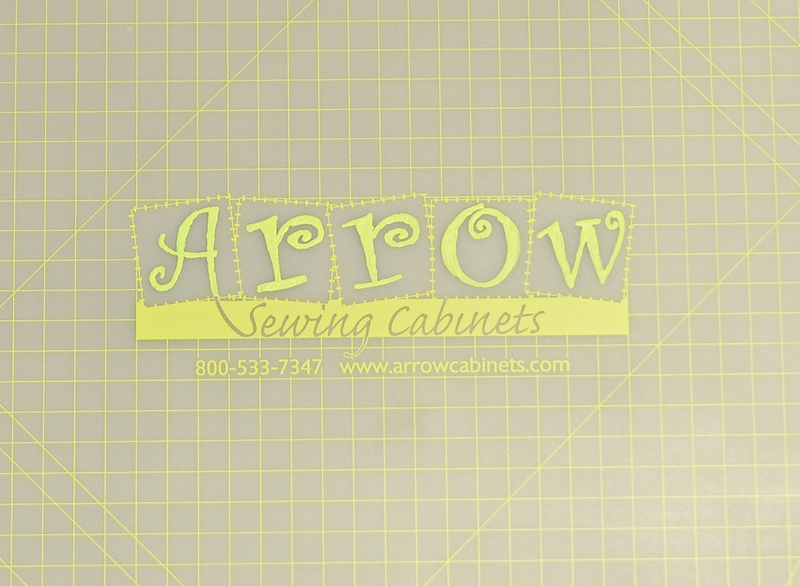 a giant 40" x 46" cutting mat to Sandy Martin of Soda Springs, ID! We hope you have room for it Sandy, and we sure hope you'll put it to good use! We'd like to thank all of you for hanging out on Facebook with us for another week! Please remember that you need to sign up in our contest database to be entered in all of our drawings. The link is located on our Facebook page, under our profile picture. It's titled "Contest Sign Up!". You only need to register once for ALL of our drawings. Have a great weekend everyone! Congrats, Sandy from McCammon, ID. I will be stopping by to use the giant mat!!! P.S. I use my big cutting mat on top of my bed. Congrats to Sandy. A new cutting mat is always nice. Holy cow! I was just thinkingI needed to buy a new cutting mat. I am using my original one that my wonderful son bought me for my birthday way back in early 90's! Thanks ever so much and any quilters are welcome to come over and cut on it with me! 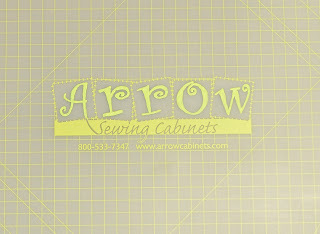 Thanks so much Arrow Cabinet co. I will always give you a plug!